The mother of a 10-year-old girl who was allegedly killed by her stepfather said that her husband tortured her along with her daughter. In new court documents filed on Feb. 8, Sharon Carrillo’s legal team argued that she was a victim along with Marissa Kennedy, at one point forced to strip naked with the girl and pose while her husband Julio Carrillo physically and sexually assaulted them. Marissa was abused for months before she was found dead in her family’s condominium in 2018, leading to murder charges against Sharon and Julio Carrillo. Police said the couple decided to stage the death to try to make it look like an accident. They’re both being held pending trials scheduled for August. New evidence that had not been released publicly until the court filing and another motion filed by Sharon Carrillo’s attorneys, including descriptions of a photograph recovered from Julio Carrillo’s phone that details abuse of both the child and her mother, shows that Sharon Carrillo was experiencing “extreme physical, sexual, and psychological abuse designed to cause physical and emotional agony,” according to one filing. “Julio Carrillo would physically force [Sharon and Marissa] to strip naked and kneel together on the floor of their home. He would force them to hold their arms in the air and threaten to beat them with his hands and other objects if they lowered their arms,” the lawyers wrote. Julio Carrillo also sexually assaulted them, according to the documents. The alleged torture of Sharon and Marissa by Julio Carrillo imposed a new reality on them, Sharon Carrillo’s legal team said. Noting that Sharon Carrillo admitted that she was “50 percent” responsible for her daughter’s death, the torture and reality shift calls into question the validity of the confession, her team argued. Because of that and due to Sharon Carrillo’s intelligence falling in the bottom 2 percent of the population, any statements she made, including her admission of guilt, should be considered voluntary and should be suppressed, her lawyers said. The team also said that Sharon Carrillo should have a separate trial from her husband, saying if they had a joint trial it would result in substantial prejudice from and confusion for jurors. “Sharon was actually the victim of significant domestic violence at the hands of Julio Carrillo,” Laura Shaw, one of the Camden Law attorneys representing Sharon Carrillo. told WGME. Julio Carrillo’s lawyer denied the new torture claims on Friday after they were filed in court. 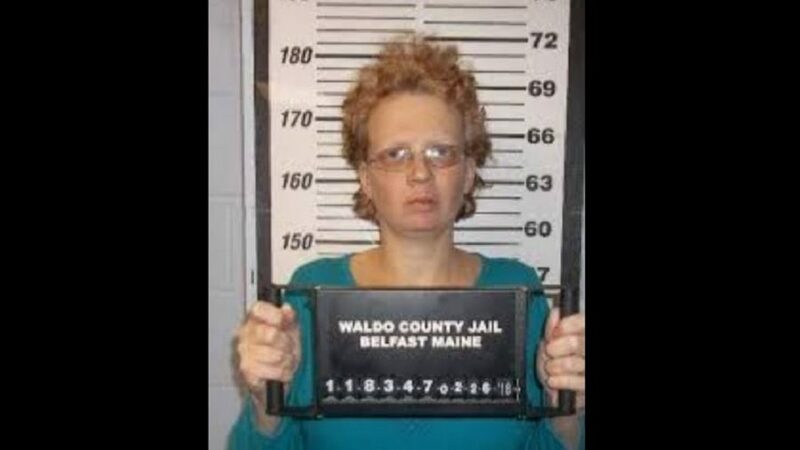 “Sharon Carrillo’s attempts to deflect all blame onto Julio, in the end, are not going to be successful,” Darrick X. Banda, Carrillo’s attorney, told the Bangor Daily News. He said that his client wants a joint trial. Christopher MacLean, another attorney for Sharon Carrillo, said in March 2018 that family members of his client told him she has been diagnosed with intellectual disabilities since she was a child and attended schools based on that diagnosis. Sharon Carrillo also attempted to annul her marriage to Julio Carrillo, filing a motion in January.